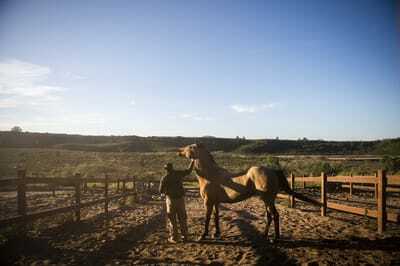 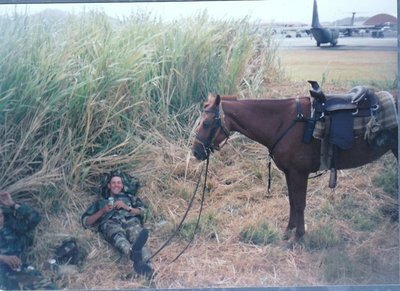 Over the years military working horses have been utlized to patrol remote areas on air force bases that are not easily accessable by motorized vehicles or to limit the impact of patrols on the enviornment. 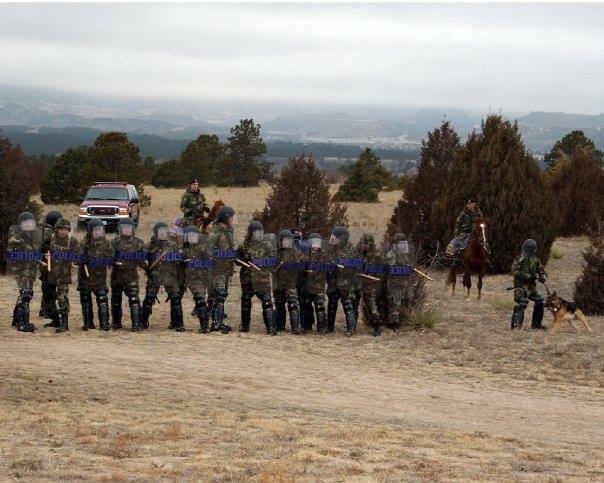 Several Air/Security Police/Forces squadrons have stood up MWH units to meet this challenge. 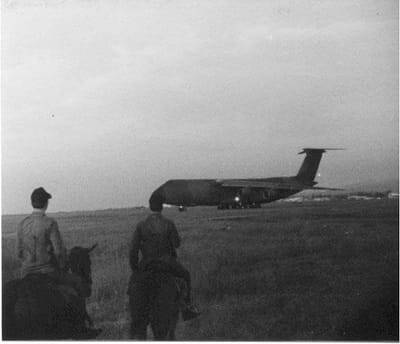 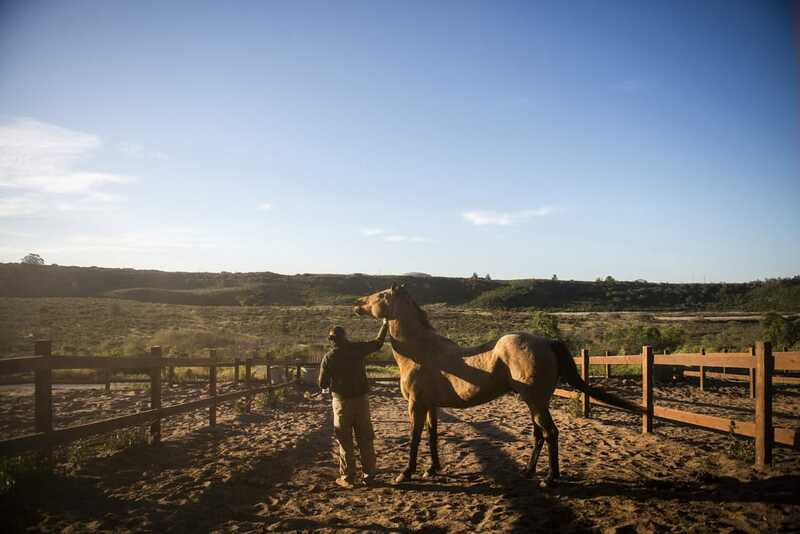 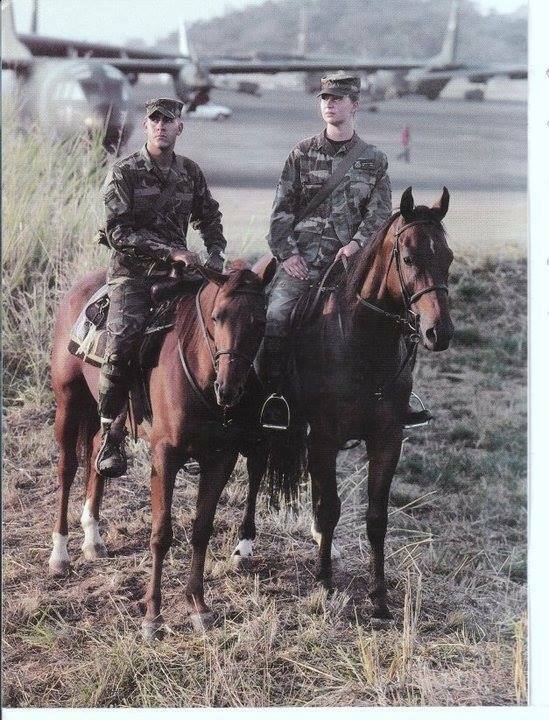 The Vandenburg mounted horse unit is the only remaining active full time horse unit in the air force and helps to secure the rugged terain around the base. 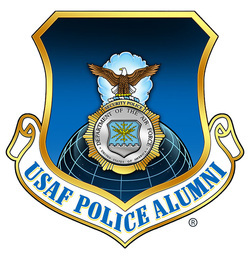 Formed in 1994 by Master Sgt. 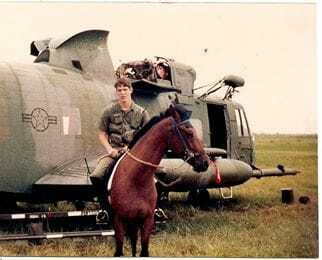 Jim Mercer when the space mission role at Vandeburg was expanded, the initial mission was twofold. 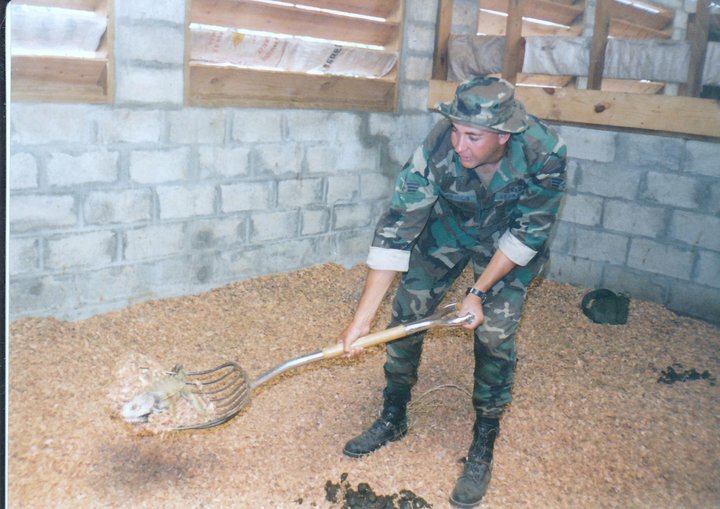 First the backcountry sweeps inside the impact limit line during launches. The second reason is no mechanized vehicles such as (all-terrain vehicles) are allowed on the beaches during Snowy Plover nesting season. 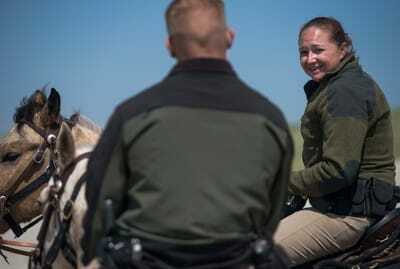 During nesting season, it’s wiser to use the horses to patrol because they have less impact on the environment. 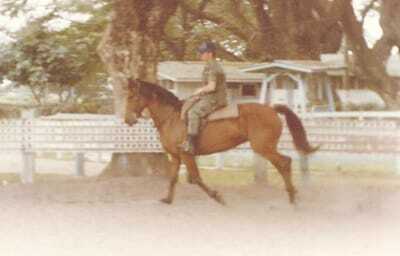 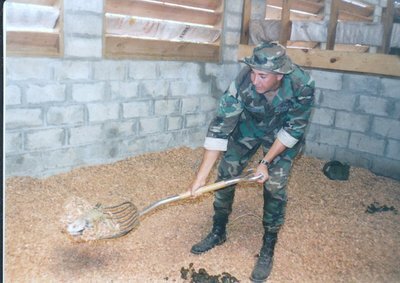 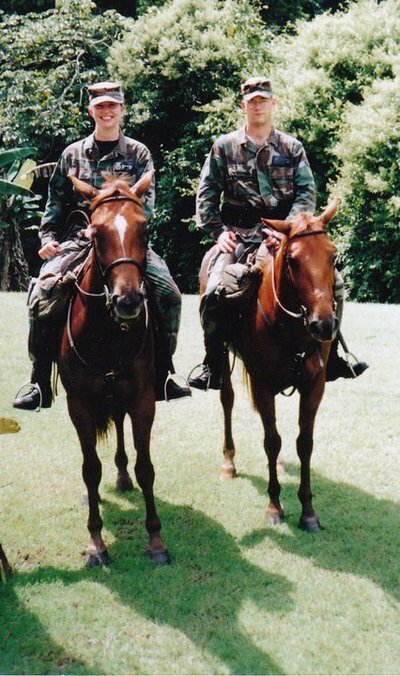 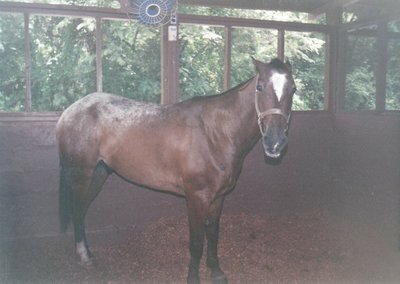 The orignal horses for the unit came from Howard AB, Panama. 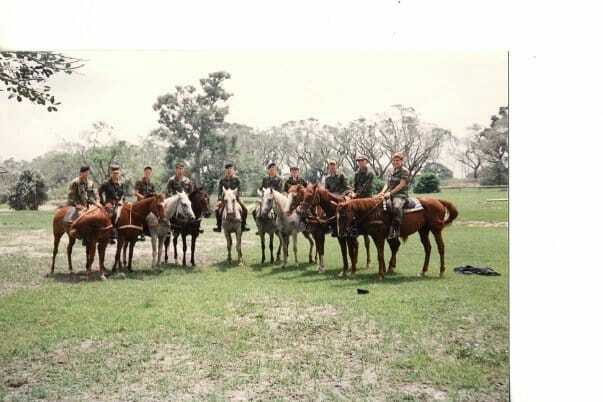 Howard was closing and they were in the process of disbanding their horse unit. 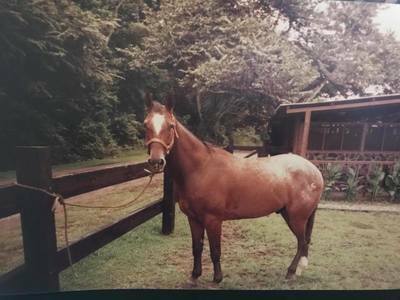 MSgt Mercer contacted a friend at Howard and they took 4 horses from Howard and purchased two additional horses to complete the unit. 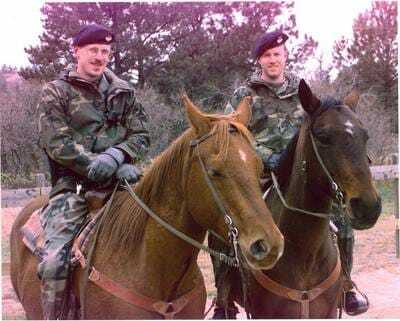 Two decades after the first horses arrived at Vandenberg AFB, horses and their patrolmen are still working together to protect people, air force resources and wildlife. 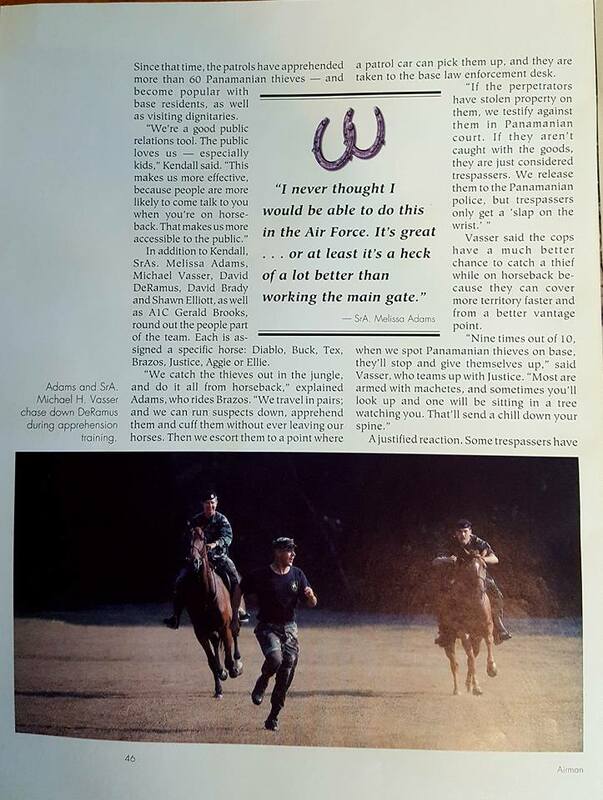 Exerpts from Airman Magazine "Horseback Security" 8 June 2015. 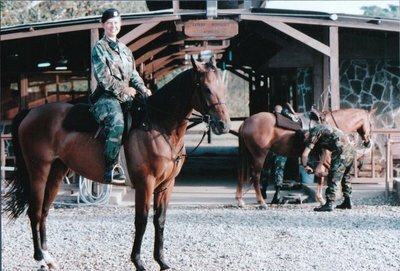 Two of the Vandenberg AFB Military Working Horses were retired with honors. 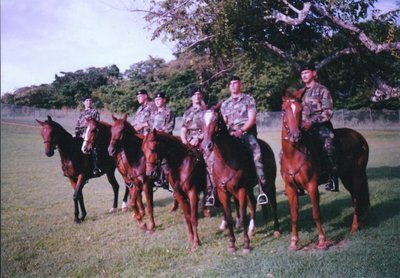 The 3rd SPS Mounted unit was stood up in 1958 and was disbanded then reassembled several times until the closure of Clark AB in 1991. 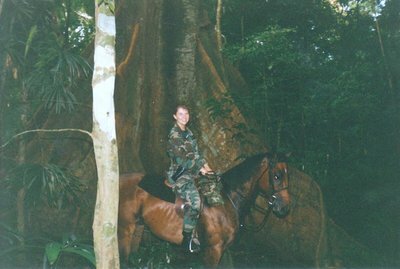 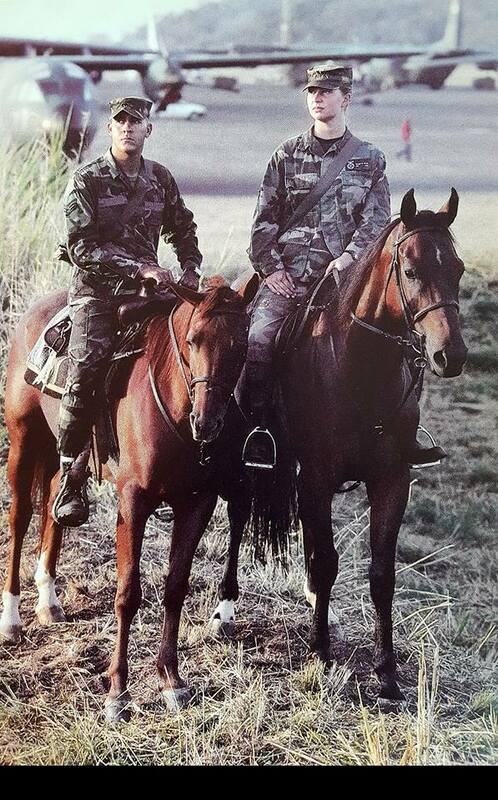 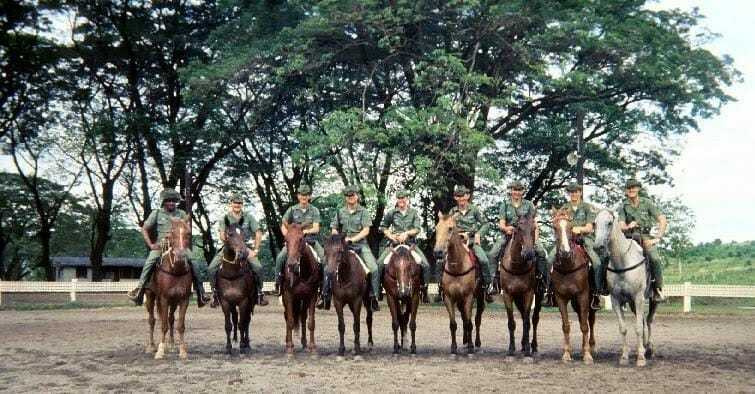 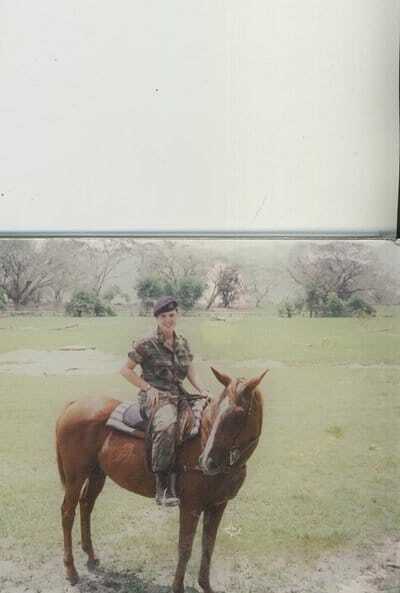 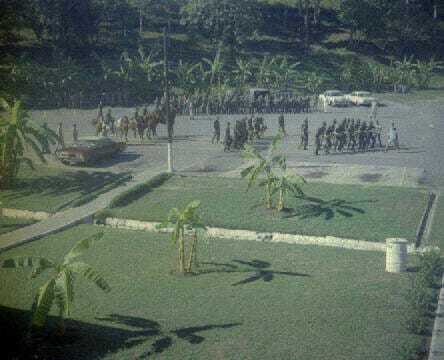 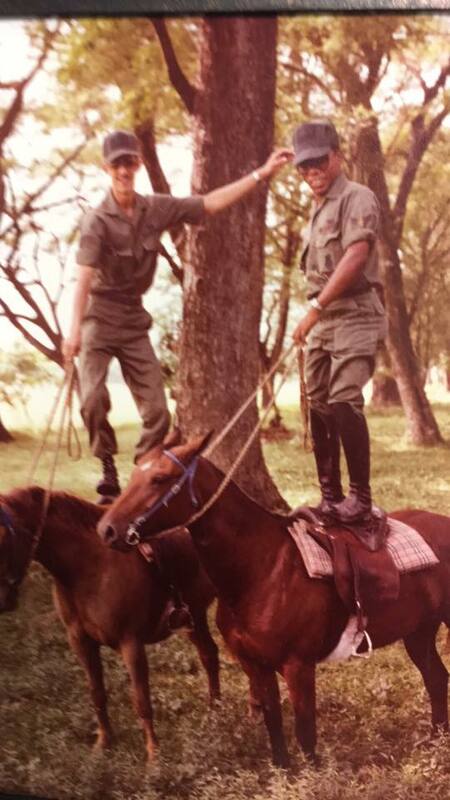 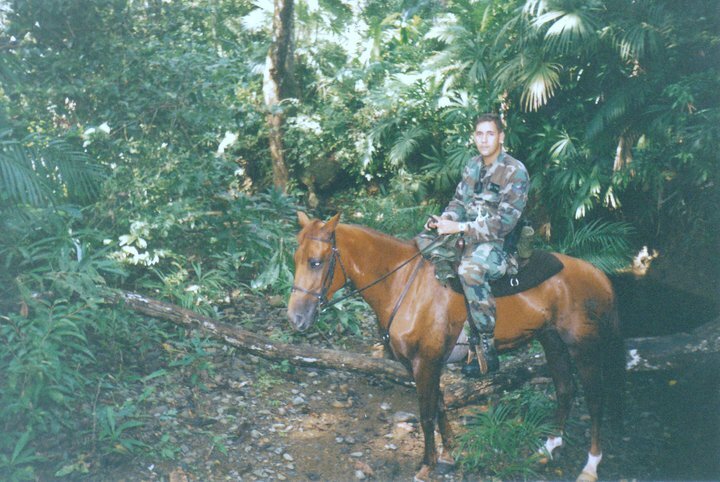 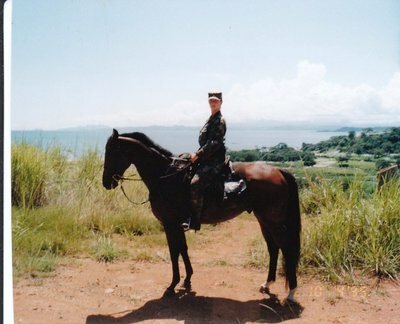 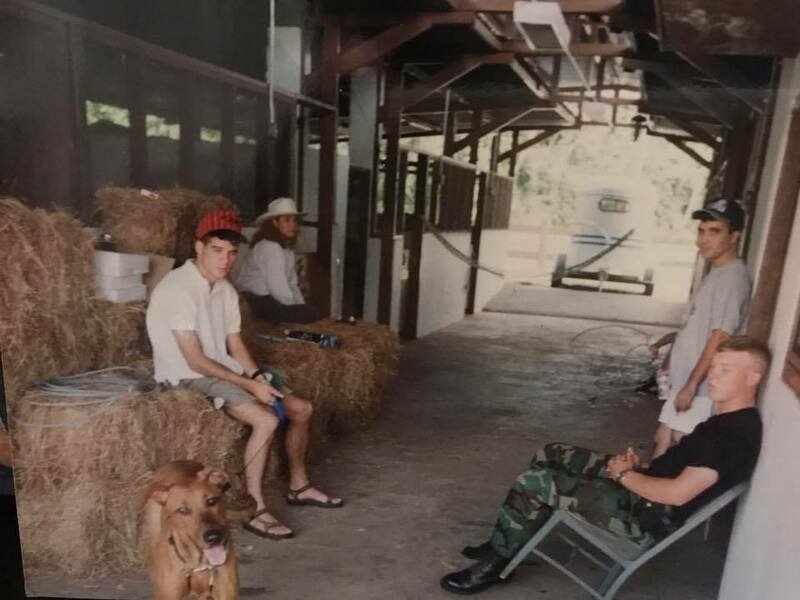 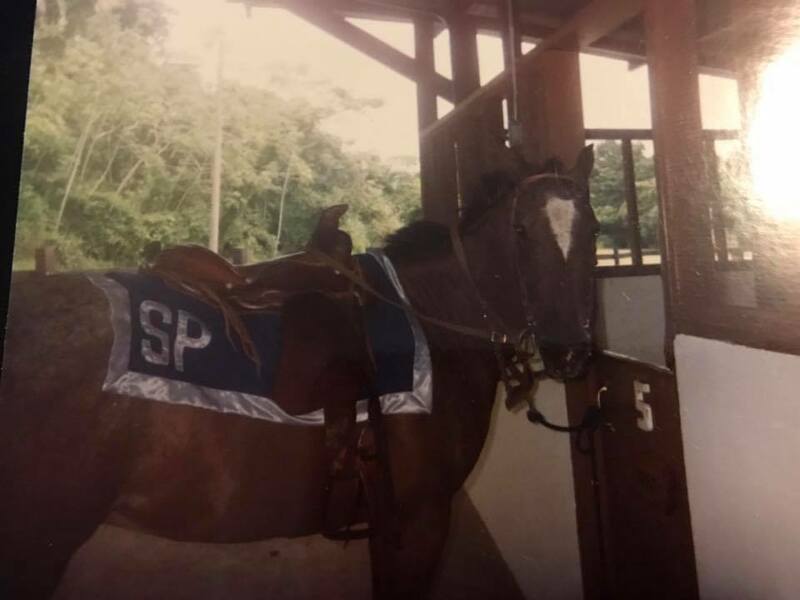 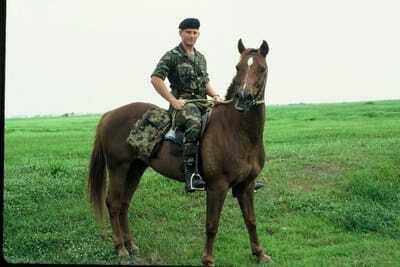 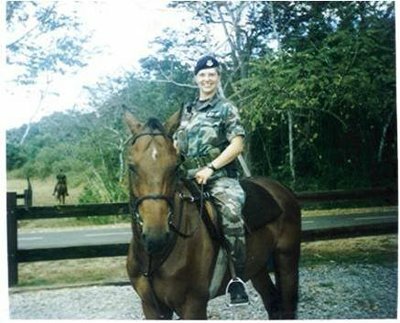 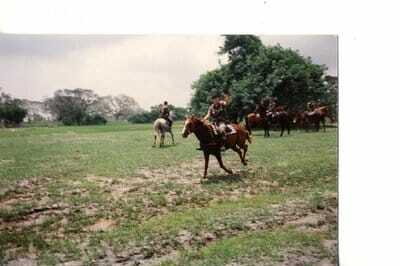 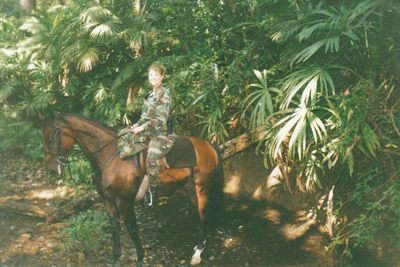 Stood up in 1993 with 7 Security Police and 7 horses the Mounted Unit at Howard patrolled the jungle areas around the base to stop thieves from infiltrating the base. 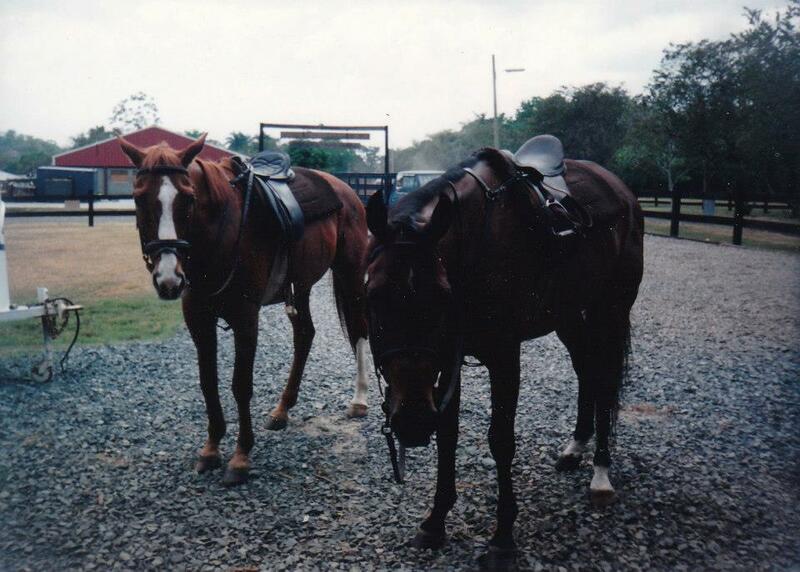 The horses were sourced locally from Panamanian ranches. Patrolling in pairs, the unit was very effective at running suspects down and apprehending them. The unit worked 12 hour shifts with 6 of the hours on patrol and the other 6 performing care and maintenance. 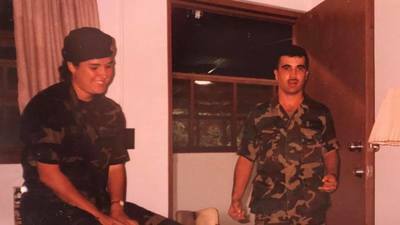 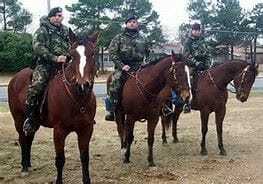 Activated in January of 2003, the unit patroled the remote areas of Little Rock AFB where motorized patrol vehicles could not go. 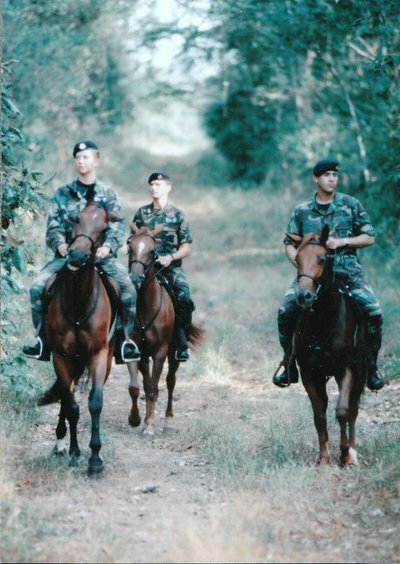 The horse patrol covers a designated area of Little Rock Air Force Base every day and focuses on remote areas of the perimeter, wooded areas behind housing and hunting areas that normally do not receive routine law enforcement coverage. 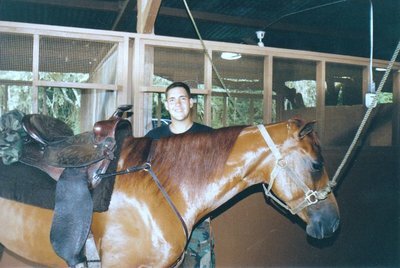 Riders cover virtually every area of the base, said Lt. Col. Kyle Lundberg, 314th SFS commander. 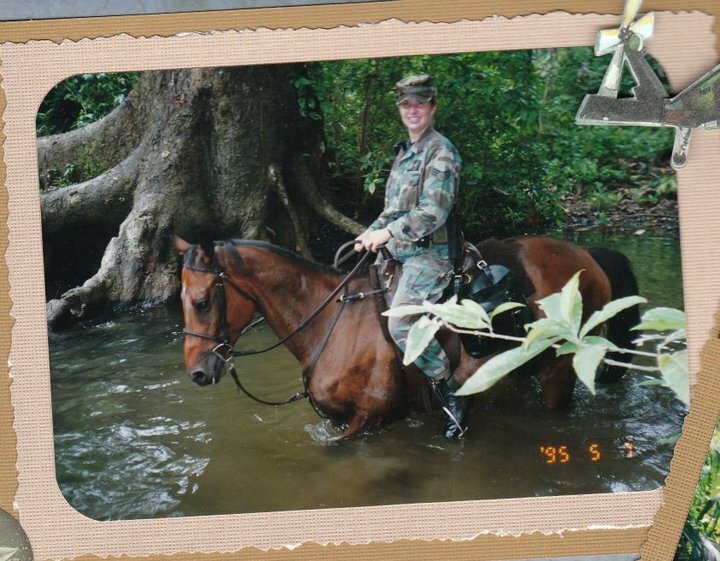 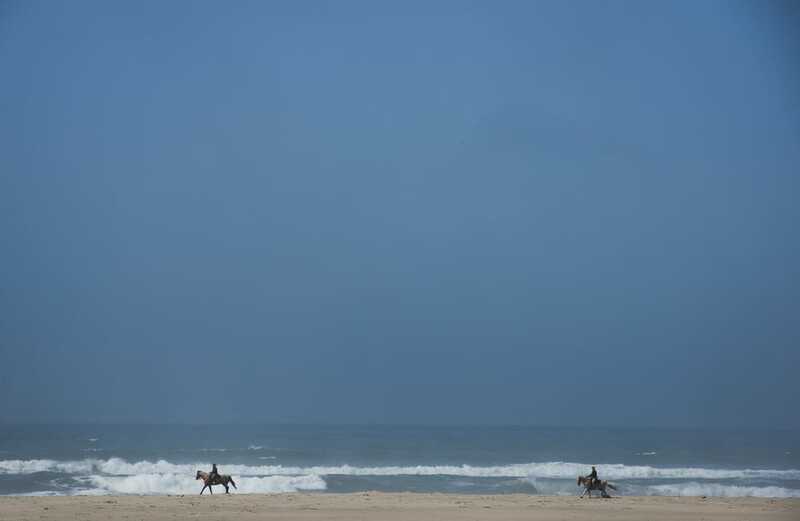 "Horses can go where vehicles can't, where even all-terrain vehicles get stuck and cover ground possibly not traversable by foot," said Staff Sgt. 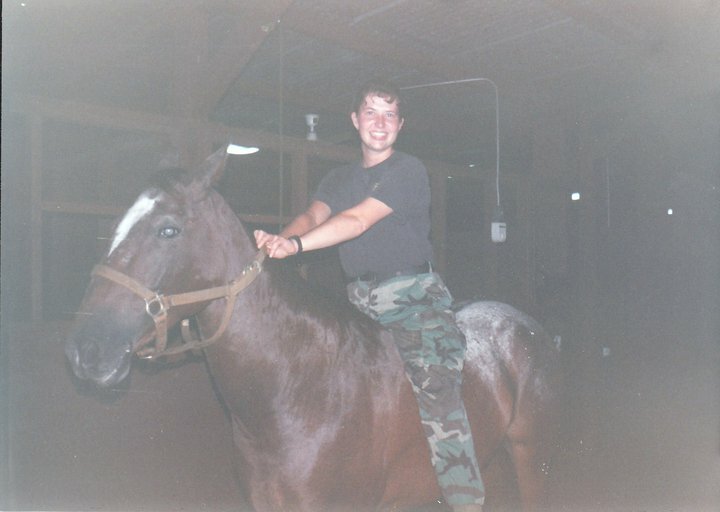 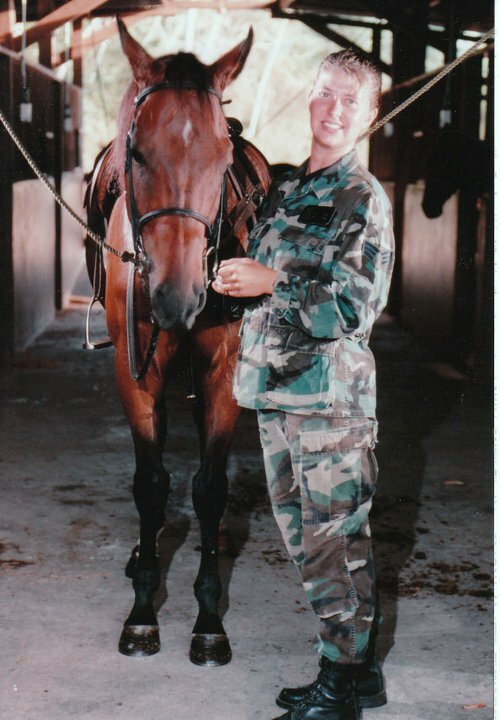 Cherri Allen, 314th SFS mounted patrol trainer. 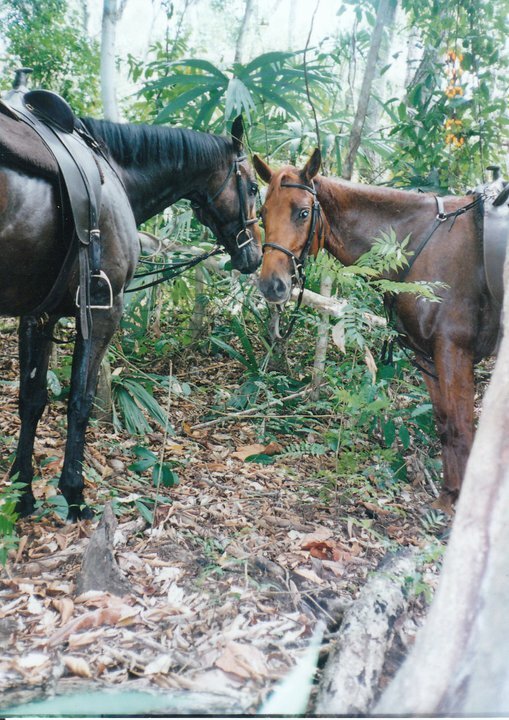 "Things that are normally obstacles to people and vehicles are not obstacles to these horses." 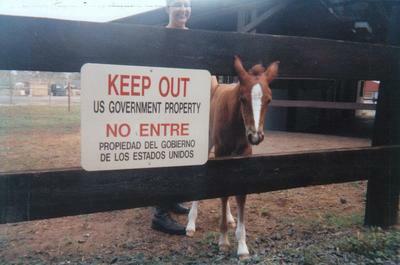 It took about 90 days from concept approval to receiving three certified horses and riders here. 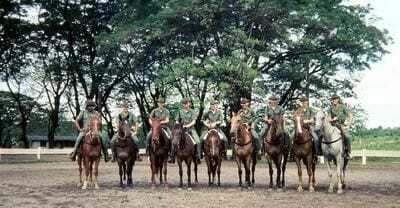 The horses are named Leadership, Teamwork and Growth. 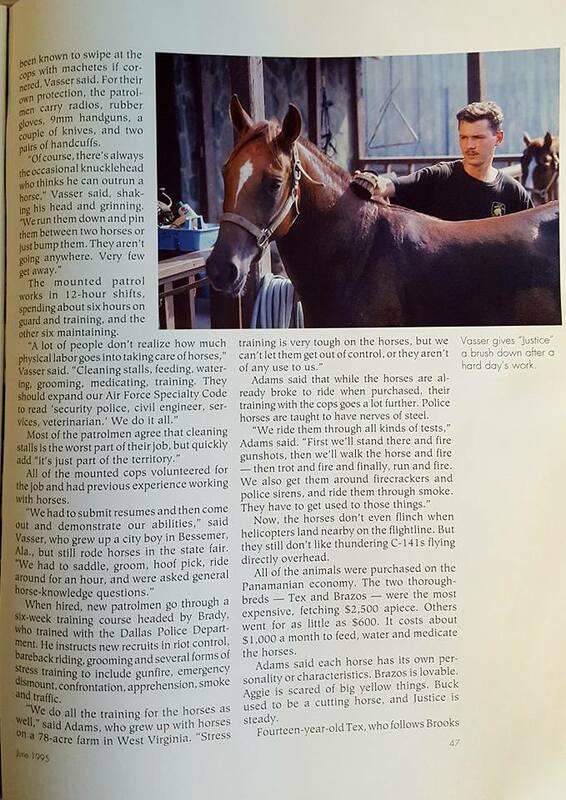 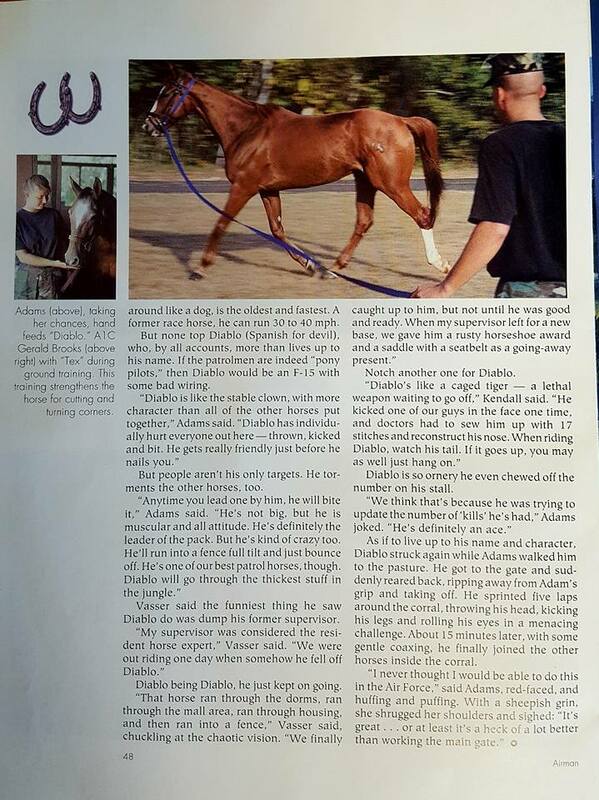 Finding three horses suitable for the work was just the start of an intensive project, said Allen. Leadership made the journey from Colorado, while Growth and Teamwork were found in Fayetteville and El Paso, Ark. 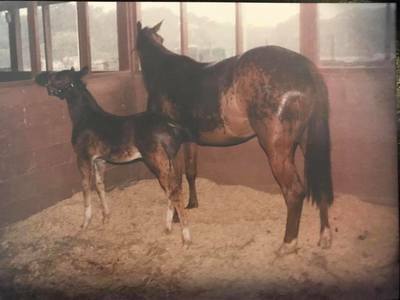 "We were very selective in finding horses with the right temperament, size, and standardized color and appearance," said Lundberg. After that, saddles, tack and other riding and safety equipment had to be ordered. 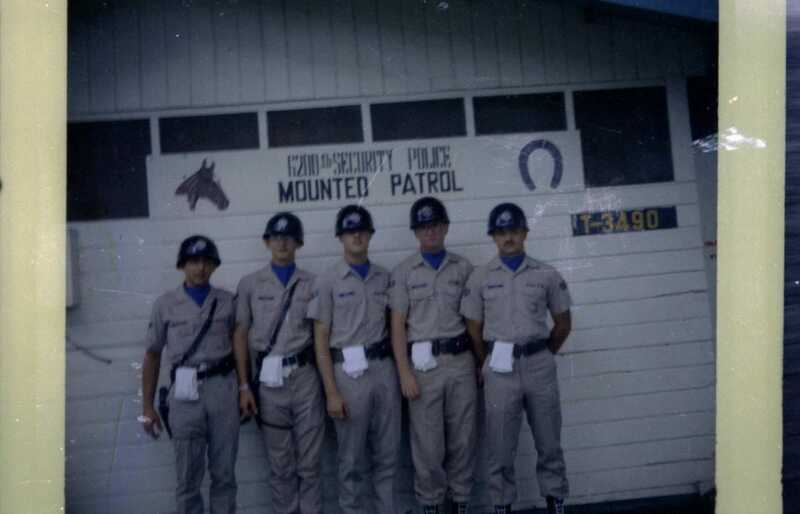 The mounted patrol will soon be wearing a new riding uniform with helmet, riding boots, navy-blue breeches and a light-blue top, similar to a blue service uniform. 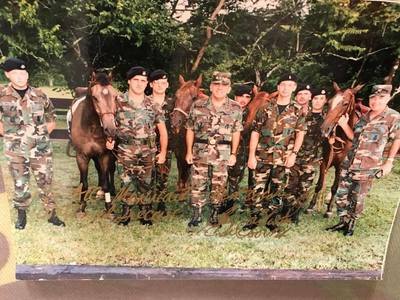 A mounted unit from the Dallas Police Department volunteered to train the seven mounted patrol members here during two weeks in November. 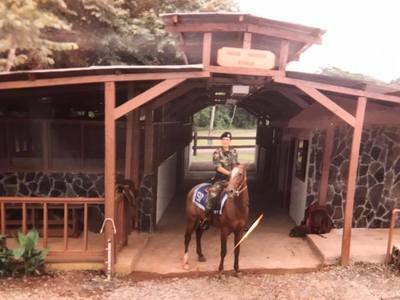 The mounted patrol learned basic care and maintenance of the horse and equipment, riding skills and proper police procedures from a mounted position, including handcuff and search tactics. 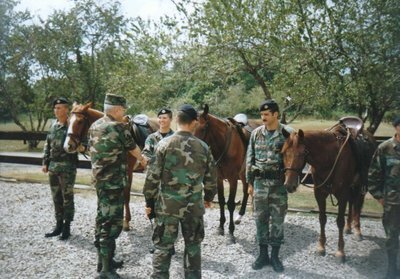 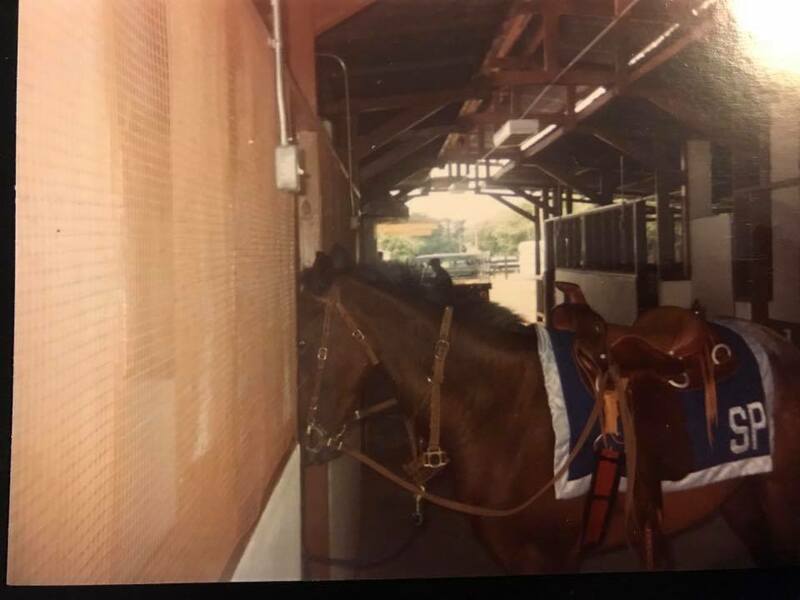 The riders and horses also received advanced sensory training desensitizing the horse to loud noise and other events that could startle the horses. 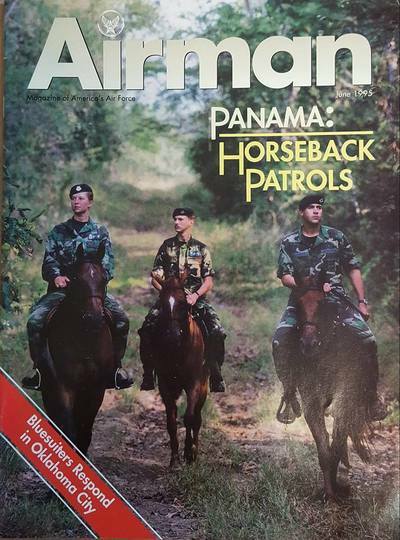 The mounted patrol is the first in Air Education and Training Command and second in the Air Force. 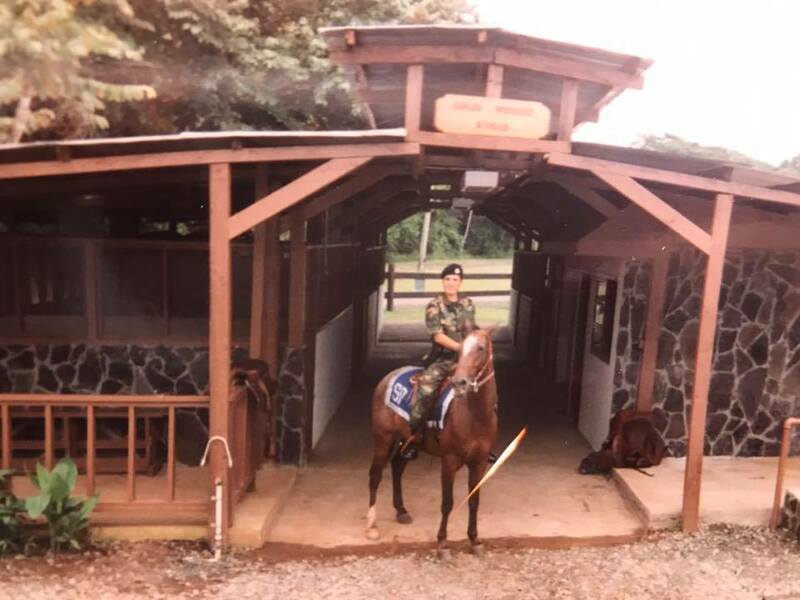 In the mid 1950's the 72nd Combat Security Squadron established a military working horse secton to assist with patrolling the base wepons storage area located away from the main base. 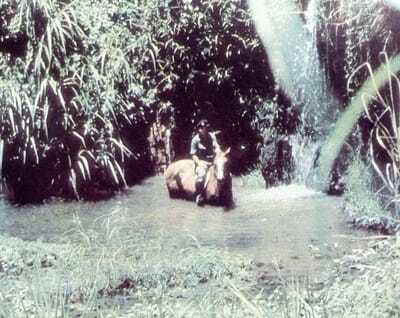 The facility was located in rough terrain and not easily accessable to vehilces. The horses were sources from local farmers, trained and aided the Air Police in securing the Strategic Air Command (SAC) Facility. 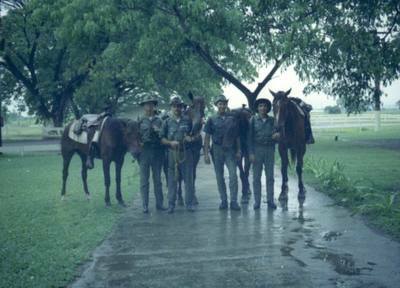 in 1964 the unit ws stood up to assist in covering large areas of the base without adding additional manning. 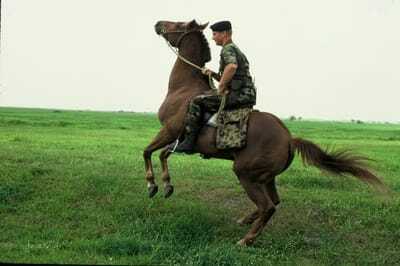 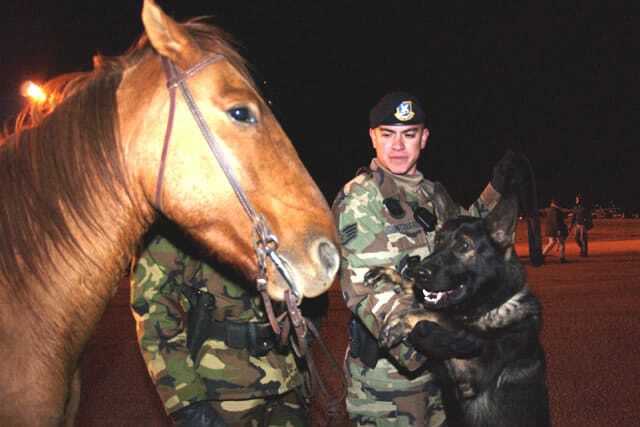 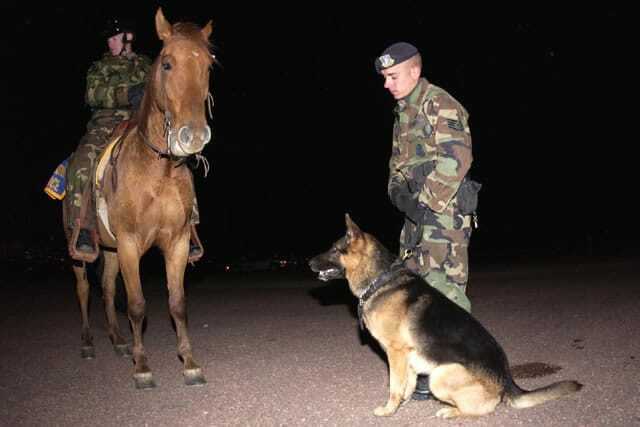 An Air Policeman and horse would compose a team and work together in much the same way as a sentry and his handler would. Like a Military Wrking Dog handler he was responsible tfor the equipment and horse assigned to him. Military Working Horse teams would work in pairs alsways remaining in sight of one another. 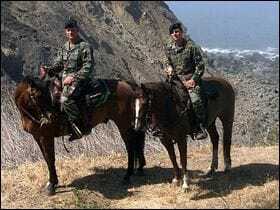 One team would patrol above in the rough coral formations while the other would patrol below on the beaches. 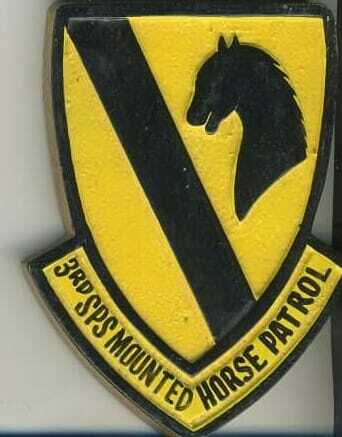 Ramey was the only Air Force Base in SAC that had a Horse Patrol at this time. 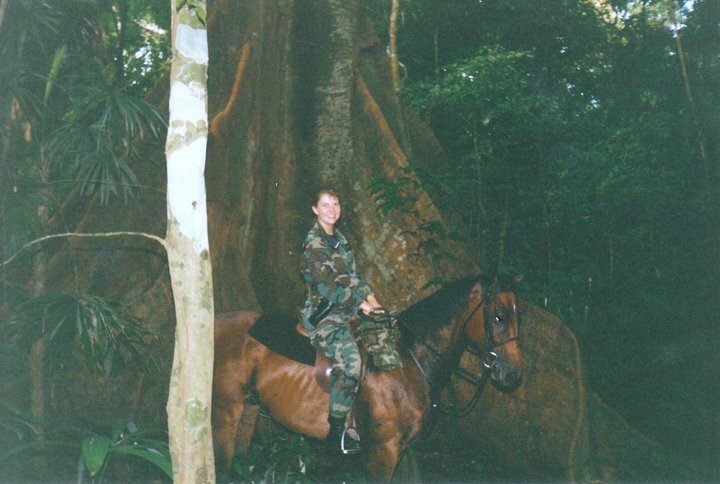 Patrols were conducted from dusk to dawn through the jungle and beach areas where there was no perimeter fencing. 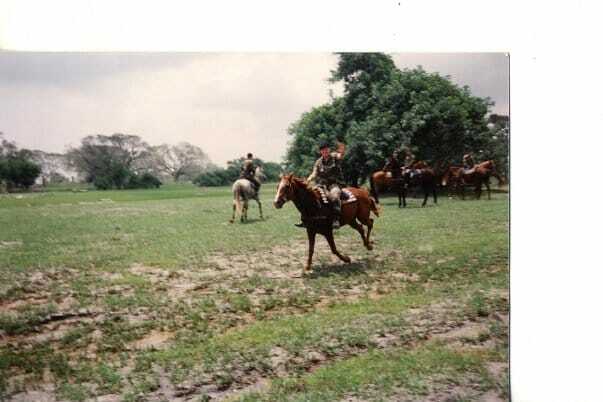 Patrols were armed with M-2 cabines and .38 revolvers. 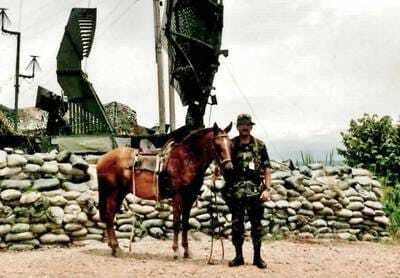 The mounts were sourced from the on base stables. 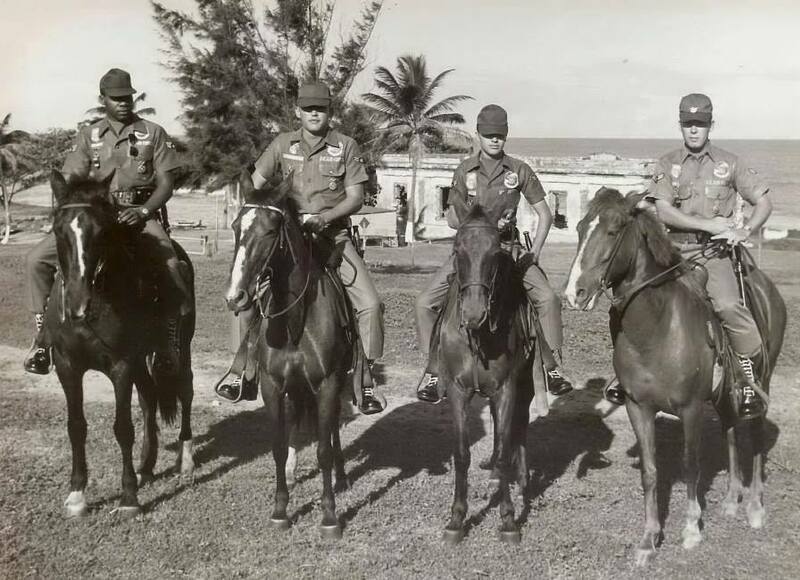 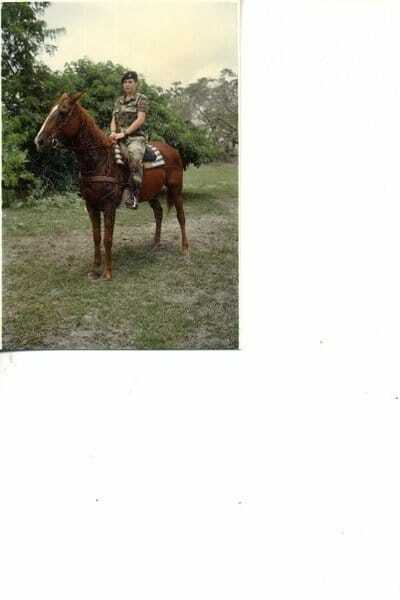 I had the pleasure of being assigned to the Beach Horse Patrol which covered the golf course which was also along side of base housing, beach area, and a wooded area between the golf course, beach and base perimeter. 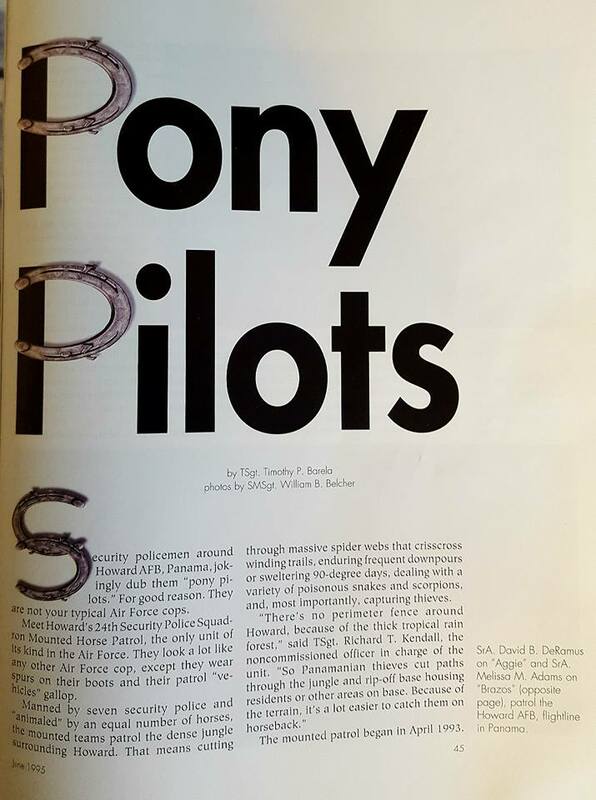 We had two shifts that covered the area swings and mids. 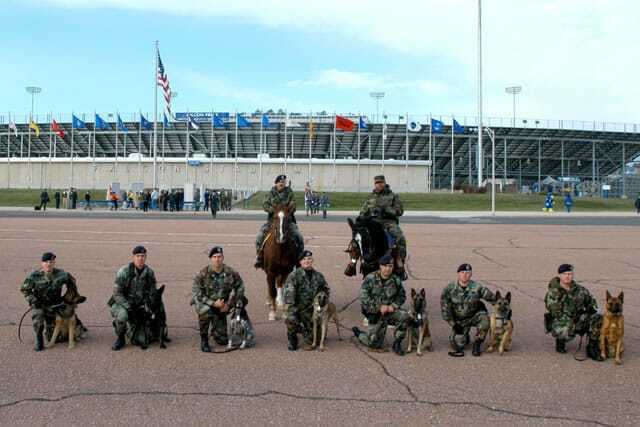 To the best of my knowledge there were no photos taken of those of whom participated in performing these duties. The wooded area surrounding the beach and perimeter was an area of special interest because it was not to be used for any purpose. 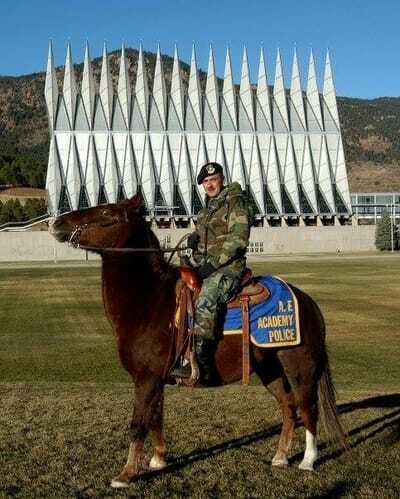 We found enlisted, officer and teenagers using it for parking and sparking. 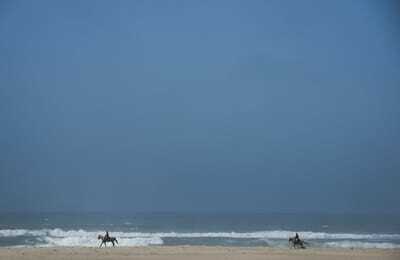 We had to report all whom were caught and for the officers it was not pleasant because of lot of the time it was inter marriage activities. 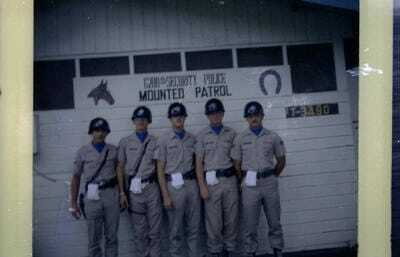 The incident that got me off of these duties and assigned to town patrol was: We had just checked into Gate one to inform all was well or pass on data of what was found. Upon departure from the gate, a donkey bayed and spooked the horse I was ridding. He went full gallop and I did all the training I have been given to ensure that the horse would deviate the course of come under control. All efforts failed and all I could see was a 30' x 40' billboard rapidly approaching. The billboard was supported by 4"X6" beams and they were also interlaced. 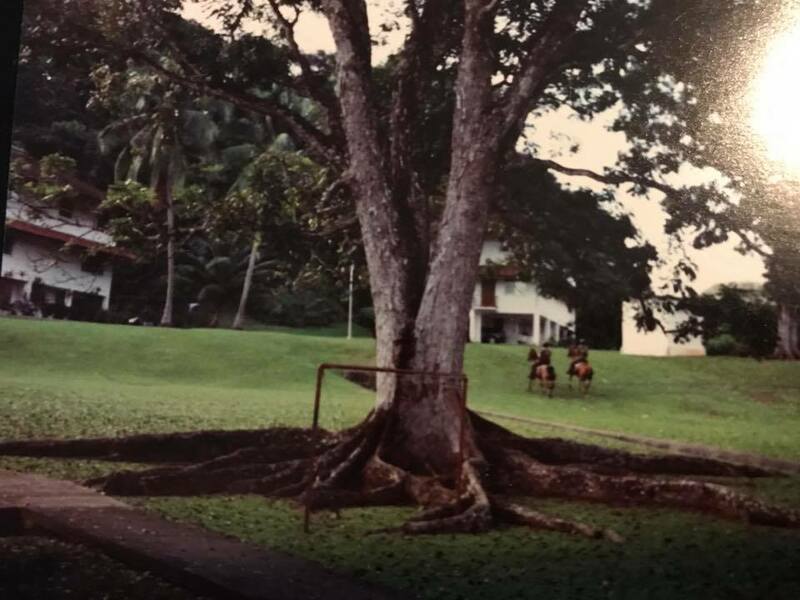 My immediate thought was that I was going to die. 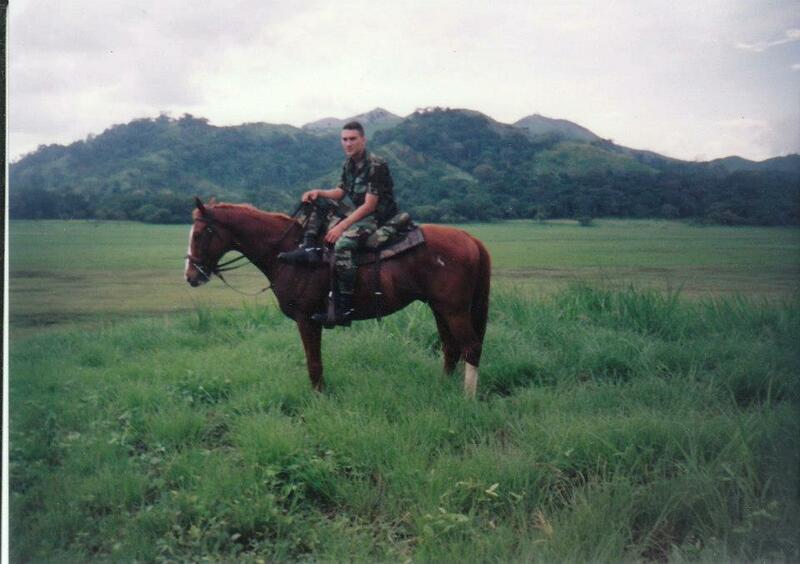 My partner tried his level best to come along side of us so that I could mount but was unsuccessful. Some how the horse made an immediate stop when coming into contact with one of the cross beams. 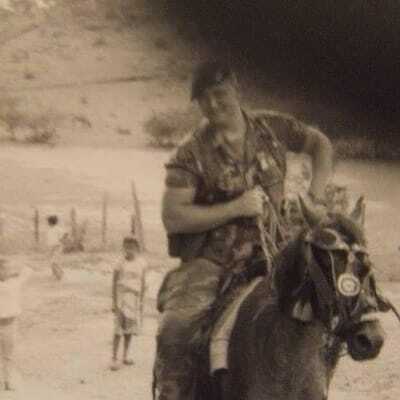 I on the other hand was catapulted through the cross beams and over the billboard. My partner called 911 and they came and rushed me to the hospital for treatment and observation. 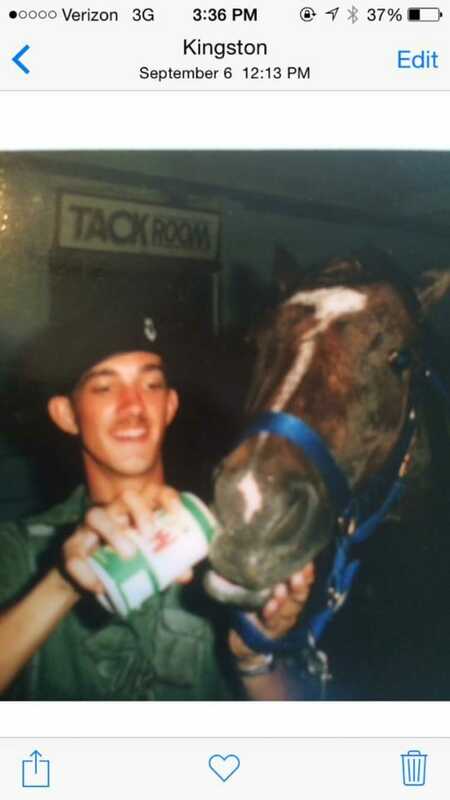 I only remember being in the ER with a brown paper bag to breath into due to hyperventilation. 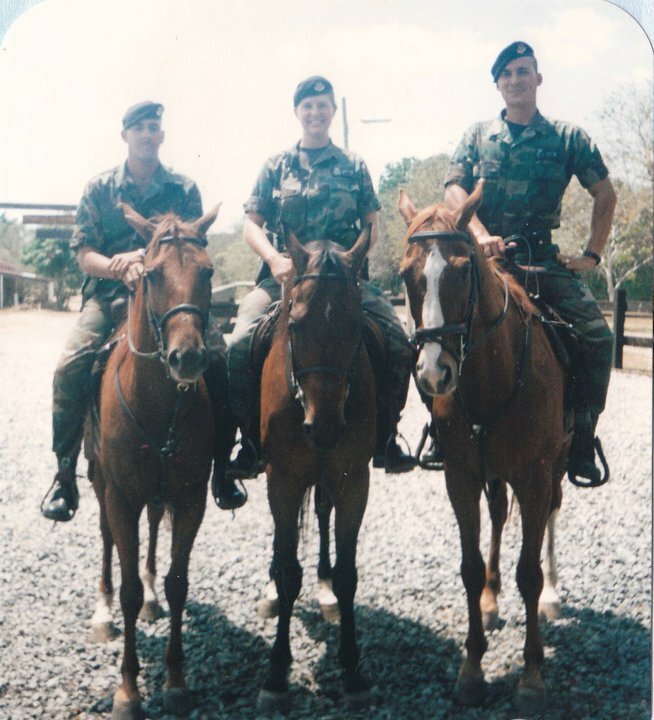 Once I was cleared to leave the hospital, I was taken to Air police Headquarters where we had to fill out the report. I informed them that I would no longer participate in horse patrol due to my experience and personal safety. 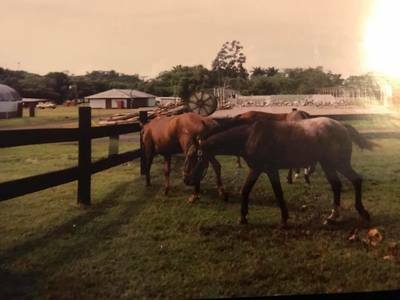 My partner took me to the site and told me how in his words of the miracle. 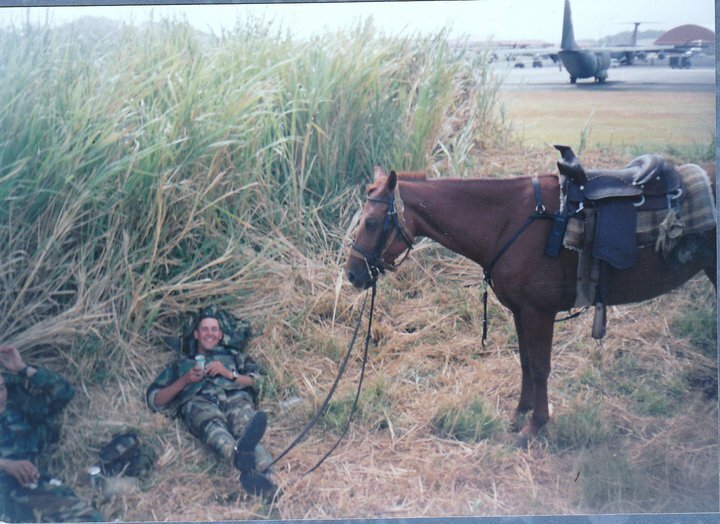 Looking over the site we found my parker pen approximately 15/20' from the billboard. 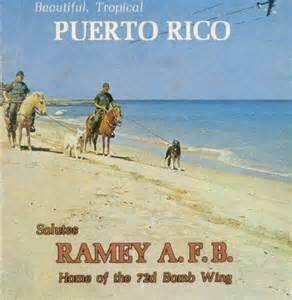 I know that it was a miracle I lived through it and finding my pen where it was gave me pause as to life importance. I was grateful that they honored my request and assigned me to Town Patrol. 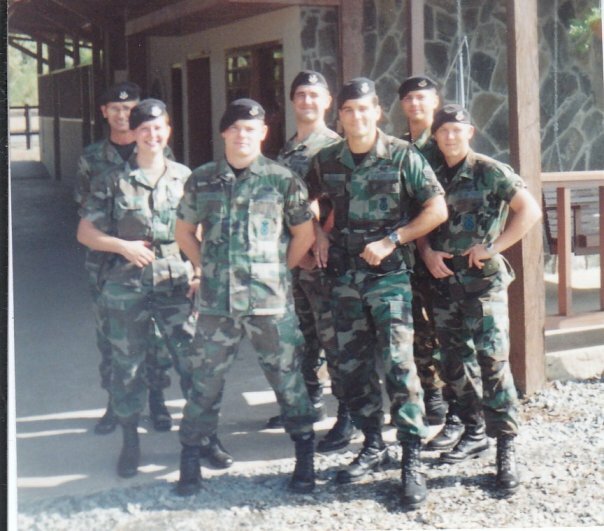 A1C Henry, A2C Cunningham, A2C Martinez, A2C Ken Hill On Patrol at Rifle Range Beach, the old Spanish Light House in the background. 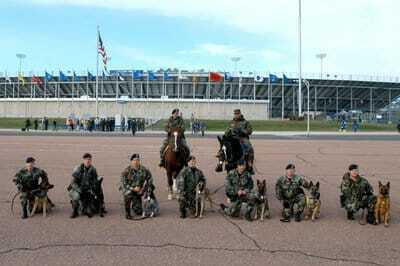 10th Security Police Squadron USAF Air Force Academy, CO.